I’ve talked about doing a longer day ride for some time, no better time than now! 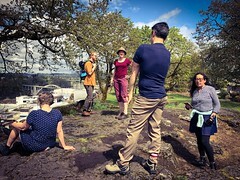 Calling all three speed enthusiasts from the Northwest: Join me for a 25 to 35 mile ramble on Saturday April 20th! 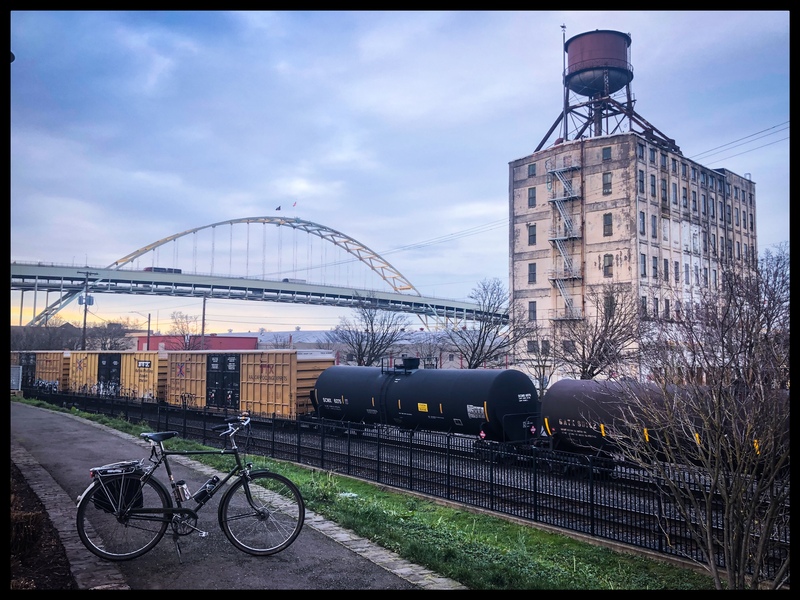 Destination: Oregon City, where we can have a fine lunch, use America’s favorite municipal elevator, tour the promenade, and see the Falls. 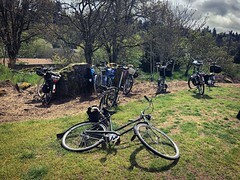 Then we ride back to Portland. Lovely! This ride is open to all bikes that have a three speed internal geared hub. Hub and bike can be of any age and from any country. We also accept four and five speed internal geared hubs, but nothing larger. 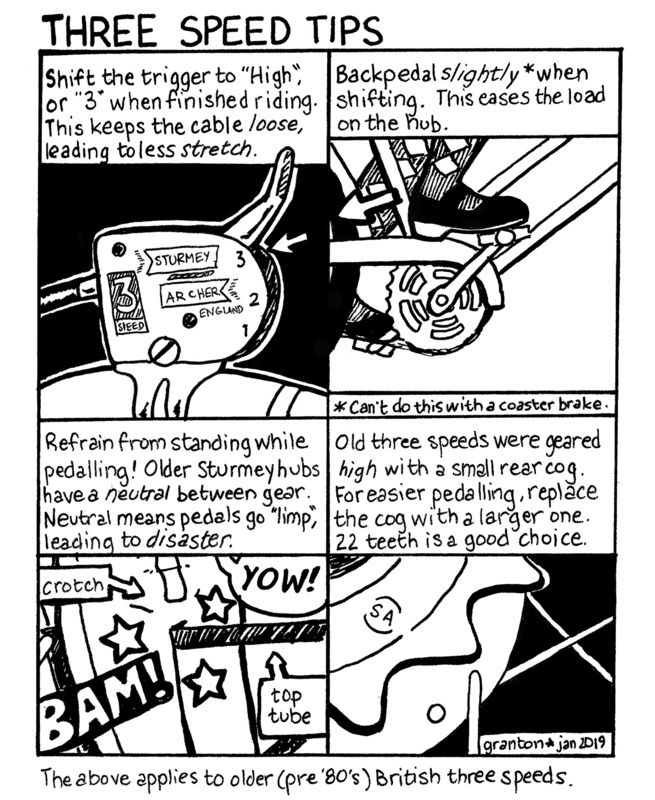 No derailleur equipped bicycles unless: a) it is on a Brompton or b) derailleur acts as chain tensioner. You do not need to be a member of Society of Three Speeds to be on the ride. If you are not a member, you can purchase a membership on the day of ride for just $20. 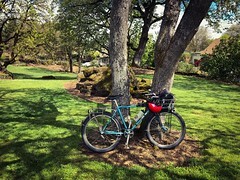 There will be two options to the ride: The shorter (25 mile) would end at Clackamas Town Center MAX station. 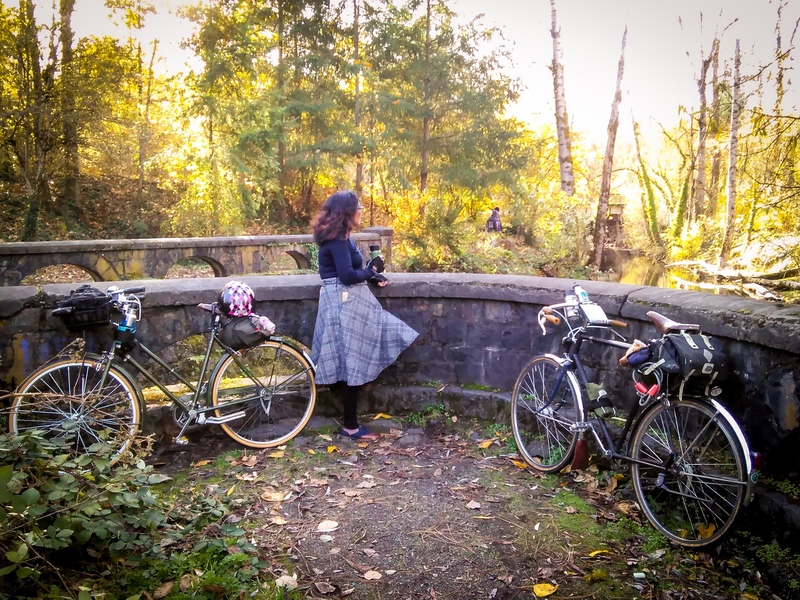 The longer (35 mile) would be a full loop, continuing on the I-205 and Springwater paths back to SE Portland. It doesn’t matter which option you’ll choose, you’ll have fun no matter what! This ride will happen on Saturday April 20 at 9 am. We’ll have breakfast at Ford Food and Drink. This is just a couple blocks north of the SE Clinton/12th MAX Station on the Orange Line. If’n you aren’t into a full breakfast, just meet us at the cafe by 10 am. This will be the departure time. The main ride is about 25 miles. You can check out the (not finalized, rough draft) version of the route here. This route is fairly flat and is about 50% bike path! There are a few hills, though so be warned. This end point will be the Clackamas Town Center MAX Station on the Green Line. For those of us who want to go further, we can ride the full loop of 35 miles. You can check out the (not finalized, rough draft) version of the route here. This full loop would be dependent on time, energy levels, and weather. This is a LEISURELY ride. We will take our time, we will have breaks. Don’t think we’ll be done by 1 PM. Nope, this is not that type of ride! Expect to be out until early evening and you won’t be disappointed or stressed. We’ll have a good break in Oregon City to get sit-down food and adult libations. We’ll have a tea stop at some point. This is BYO, either bring hot tea or be prepared to make it with a stove. Coffee and other hot beverages are OK too. We plan on riding rain or shine. If it is truly stormy, this ride may be postponed or cancelled. But a little rain won’t stop us! Please sign up for this ride via Eventbrite here. It’s free, and takes only two minutes. 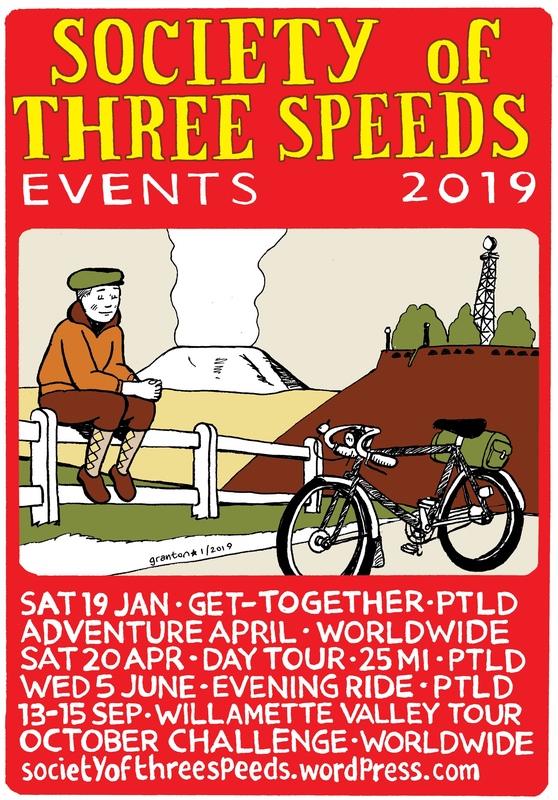 This past weekend was a double-header of events, my Three Speed Get-Together on Saturday followed by the Palm Tree Ride on Sunday. We had a good little turn-out of six folks for the Get-Together. 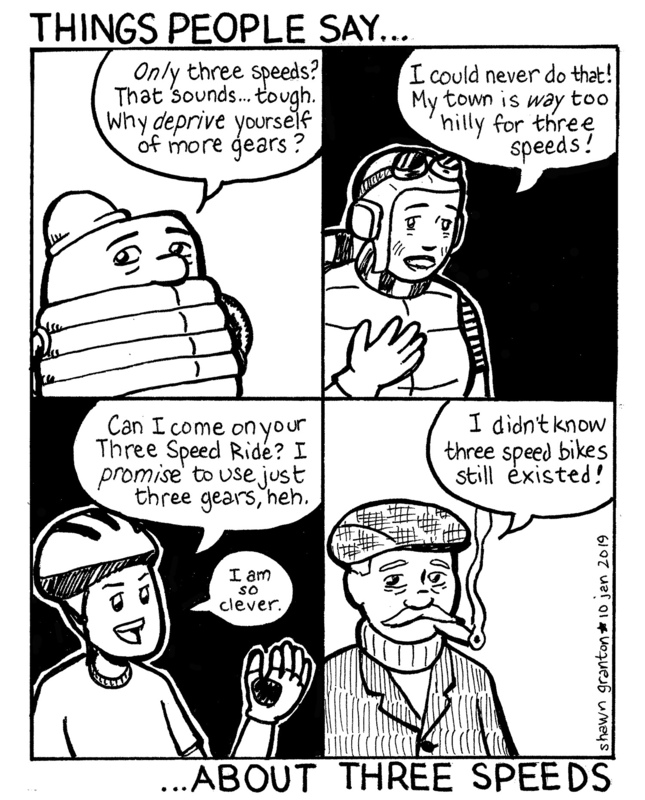 Since we all mostly knew each other, the talk mostly diverged from three speeds. Ah well! It was a wet day on Sunday January 20th. It wasn’t the wettest Palm Tree Ride that I had ever done. No, that honor goes to the 2015 version. But it was a steady rain for most of the day. I was wishing for the dryness of Saturday or at least a break in the rain, no such luck. Ah well. Six people did turn out, so it wasn’t just me riding around by myself! 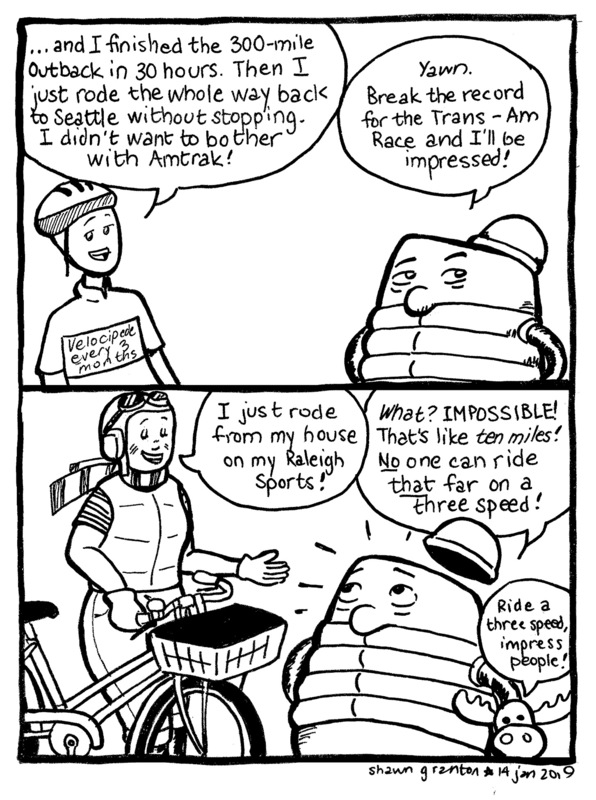 Some new three speed comics! I’ve been chugging along with my New Old Stock comics for the past seven years. The latest issue, #333, can be purchased here. You can see new ones as they are done on my Instagram account, but I figured I’d share a couple of the three speed specific ones here. Enjoy! Folks, I don’t know if I mentioned this before, but I am down with selling my comics, zines, buttons, and postcards to stores! I offer a wholesale price of 50% off “cover” price on my sundries. You can be a bookstore, a comic store, a zine shop (if they still exist), a cool bike shop, or some other place that would like to sell my wares. You’ll need to at least buy five items to qualify. I’m not going to give wholesale price to one or two items. And by items I mean “piece”. You can order two of New Old Stock 2.125, one of New Old Stock 1 3/8, and two of New Old Stock 333 to qualify. The discount applies to individual items, not to multi-packs or any discount offers.